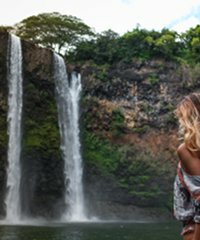 The Real Hawai'i provides private custom tours. They have something for everybody. Choose from a short half day excursion or a full day adventure in Paradise. These customized tours help make the most efficient use of your vacation time. Go on one of the offered tours or turn "your wish list" into a custom tour for you and your special group. If your not sure what you would like to do, not a problem staff there know the island well and can help you decide how to make the most of your day. 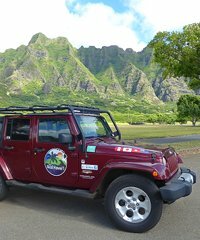 Leave the bustle of the crowded resorts and Tour buses behind and let The Real Hawai'i tours help you discover the real Hawai'i on Oahu. 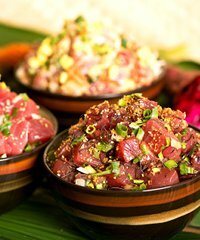 Learn about Oahu's natural and cultural histories through its historic farm sites and stories in unique Hawaiian culinary experiences. Taste the many products that are raised and grown on Oahu's spectacular farms.